Their objectives include striving to promote and encourage kindness towards, care and understanding of cats and other animals, working to organize fundraising events on behalf of abused and neglected felines, discouraging the sale of any feline to pet shops or the use of cats by any organization for inhumane testing, and cultivating relationships between pet parents, breeders and cat enthusiasts. Cats Exclusive is affiliated with The Cat Fancier's Association, the world's largest feline registry, which also operates to cultivate the appreciation of all things feline through the publication of educational materials for the general public. In 1996, Cats Exclusive established the Spay/Neuter & Adoption Program (SNAP) for the alteration of homeless felines. 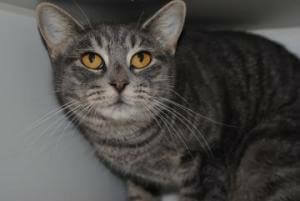 Adoptable cats and kittens are taken in by their dedicated Adoption Center in Margate, FL. Cats deemed too feral to become good candidates for adoption are altered, nursed back to health and returned to their feral community. SNAP has proven incredibly successful in the fight against feline overpopulation in the greater Miami area. In 2007, they opened a low-cost clinic which provides veterinarian services, such as vaccines, dental care, and spaying/neutering, as well as other routine surgeries. In fact, they’ve performed just over 10,000 procedures and treatments! Our financial grant helped to cover the costs of their shelter operation during the last few months of 2011, when they took in 115 felines and placed 128 in adoptive homes. Of the hundred-plus rescued, 88 were feral kittens, some of whom required intensive care. Two of the felines whose lives were saved by Cats Exclusive came to hold a special place in their hearts. One was Cherie, who had been rescued by Cats Exclusive as a kitten. Now six years old, her pet parents had lost their home due to foreclosure and were living out of their car. Acting in the best interests of their much-loved cat, they surrendered Cherie back to the rescue, knowing she would receive the care she so richly deserved. In the weeks following her return to the shelter, Cherie went into a deep depression. She started dropping weight, losing three pounds and putting undue stress on her immune system. After a couple of months of intensive loving care, and being featured as the “Cat of the Month” with her own YouTube video, Cherie regained her normal weight and her health … and found a new family. Then there was Boo-Boo. 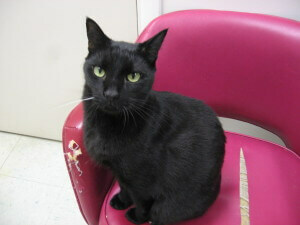 A lovable and affectionate stray, Boo-Boo was brought into the clinic with a signficant tail injury. Unfortunately, the veterinarians could not save his tail, which needed to be amputated. His recovery was rocky, even requiring a second surgery when his vertebral problems continued. With superb medical care, Boo-Boo made a full recovery. Not only did his hair grow back around his scars, he captured the hearts of a new family, which Cats Exclusive believes will prove to be his “forever home”. All of us here at Life’s Abundance send our earnest gratitude to this group for all they’ve done in South Florida to improve the lives of cats, especially those without a home to call their own. We’d like to convey our heartfelt appreciation to all of our customers and individual donors who made this special award possible. Each one of you directly helped Cherie and Boo-Boo, making a happier life not only possible, but likely. Remember, every time a Life’s Abundance order is placed, a portion of the profits is contributed to our foundation, which in turn awards these funds to small American rescues just like Cats Exclusive. If you would like to show additional support to our foundation, you may do so when placing an order online or by sending a check to Dr. Jane’s HealthyPetNet Foundation, Inc. at P.O. Box 1425, Palm City, FL 34991. Even if you can only spare a dollar or two, you’ll be providing much needed aid to deserving pet-rescue organizations, which are on the front lines of the fight to reduce and eliminate pet abandonment, neglect and abuse in America. It gives us immense pleasure to announce one of the latest financial awards given by the Dr.